Toyota is considering following up the introduction of the new Supra with a revival of the MR2, possibly as an electric model. Speaking at this month's Paris Motor Show, European vice president of sales and marketing Matt Harrison said the company is at the “discussion stage” with the model, but confirmed it is a favoured potential addition to the product plan. Harrison also alluded to the brand’s so-called ‘Three Brothers’ of the Supra, Celica coupé and MR2, using boss Akio Toyoda’s favoured term for the trio of sports models he would like to see returning to showrooms. The Supra is shortly to be launched and the GT86 is today’s Celica, leaving only the MR2 to come Toyota has already hinted at a smaller sports car with the 2015 S-FR concept, which was inspired by the front-engined S800 sports coupé of 1965. Other options could include a platform-sharing joint venture with another manufacturer wanting to introduce a relatively cheap mid-engined car, engineering its own petrol or petrol-hybrid mid-engined model or, perhaps the most cost-effective option, creating a pure electric sports car. An EV could have several advantages. The greater packaging flexibility of the battery-electric running gear means that the highly adaptable Toyota New Global Architecture, designed to accommodate EV powertrains, could form the basis of an electric MR2. The compactness of the electric motor would enable it to be located behind the car’s two seats, in the spirit of the original. The battery could be sited below the floor, bringing a desirably low centre of gravity, and the car’s relative simplicity should lower overall development costs. Range is likely to be less of an issue in a compact sports car, and a low-cost, low-weight EV sports car could be marketed as a fun, environmentally friendly, short-distance commuter car. Were it to get the go-ahead, a new MR2 would be unlikely to appear before the early to mid-2020s, by which time the energy density of batteries and EV technology in general will have improved. Toyota would also have a number of pure EV models either on sale or well under development by then. Toyoda is keen that Toyota should continue to offer “affordable, simple and fun- to-drive” cars among its zero-emission products. He cited the original Mini, which he owned when working in the UK in the 1980s, as “the kind of car we should all dream of making”. Nice, where do I sign? Hopefully it'll give the same sort of thrills as an Elise or an Alpine at a more accessible price point. Good to hear that Toyota is commited to producing a range of sports cars and coupes. There must come a time when buyers get tired of their SUVs and crossovers and want to have some fun. 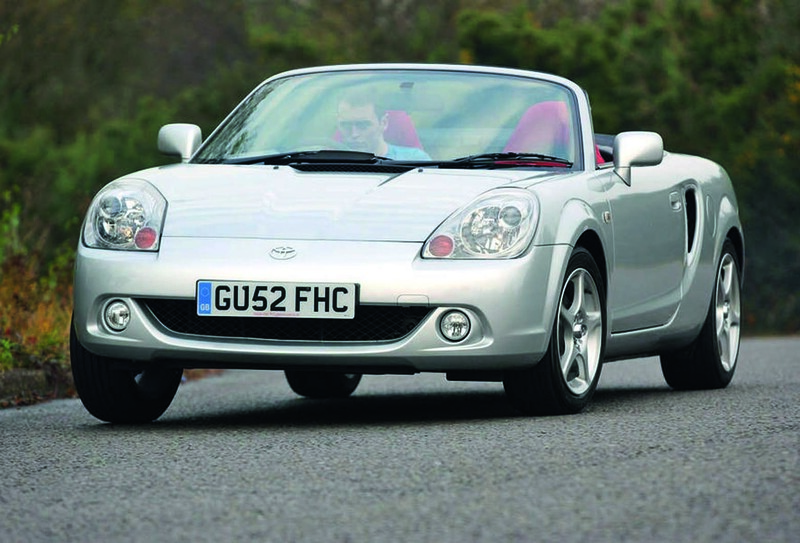 A revived MR2 - simple and light like the GT86 - would certainly fit the bill. Much better than 'we're moving further upmarket' or the dreaded word 'premium'. Why wouldn't it be built in Japan, like the other 4.3m cars they built in Japan last year? Even though Japan has very high labour costs (and might not be in the EU). Go for it. Still see an example of MR2 once in a while in traffic, Mk. 1 actually. Always found the earlier car the prettier. MR2 2nd generation best looking..
"The battery could be sited below the floor"
This is viable in SUV-like EVs but not in a small sports car. We like our sports cars low and sleek, and with low seating position.